I am not defined by what people have done or said to me. I am defined by who I am in Christ. God uses all of our suffering for our joy and for his glory. God’s refusals are always his mercies. When my life spins out of control, I need to remember God’s absolute sovereignty. It comes down to trust. Will I trust my circumstances that constantly change, or God who is unchanging? God sees our lowest moments as our spiritual highs because that’s when he is doing the deepest work in us. The most precious answer God can give is to wait. It makes me cling to him rather than to an outcome. Anything that makes me dependent on God is a good thing, perhaps the best thing. Pious Platitudes or Timeless Truths? Often, when I read remarks of that sort, they come across as glib spirituality, unrealistic bromides offered by someone who hasn’t been burned by the flames of real affliction. But when these statements spring from the mind and heart of Vaneetha Risner, that’s patently not the case. Those are just a few of the sentences that resonated with me as I read her book, The Scars That Have Shaped Me, subtitled, How God Meets Us In Suffering (Desiring God, 2016). After a diagnosis of polio as an infant in India, Vaneetha had twenty-one surgeries by her thirteenth birthday, leaving her with a limp. She was seven years old before she learned to walk. Loneliness and bitterness characterized her early years due to the incessant teasing and bullying of classmates. After marriage and the birth of a daughter, life seemed a lot better. But three miscarriages followed. Her son, born with a heart defect, received successful surgery at birth. But two months later, a doctor’s mistake caused her son’s death. The birth of another daughter followed a year later. At 37, an inexplicable pain developed in her arms. Doctors diagnosed her with post-polio syndrome, a degenerative condition that results in escalating weakness and pain, with the possibility of complete disability in later years. A few years later, her husband abandoned Vaneetha and the girls, resulting in a divorce that she didn’t want. Since depression is one form of the broader topic of suffering, anyone experiencing despondency—even when it isn’t spawned by a trial—will identify with Vaneetha and profit from her biblical, practical counsel. Her tone is warm and inviting, not impersonal and preachy. It’s as if you are sitting in her den sharing coffee with her as she tells her story and what she has learned. Raw honesty. You’ll identify with how she voices the hard questions, describes her complaints to God, and laments over what seems at first like unfair treatment. Dependence on God’s Word. You can’t turn a page without a reference to a Bible verse or passage that has sustained and informed her. The chapter titled, “Has God Forgotten Me?,” based on Psalm 77, is worth more than I paid for the book. She provides a much-needed corrective for Christians in the West: an experiential and soundly biblical theology of suffering. Practical. 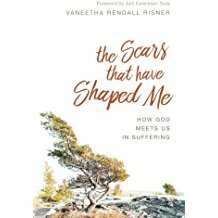 Interspersed with biblical insights, Vaneetha offers concrete strategies for coping with affliction. Here are just three of her ideas. Pray honestly. “It is unhealthy to deny our pain and pretend everything is okay when it isn’t,” she insists. Depend on the Body of Christ. Whether the needed assistance is physical or emotional, Vaneetha acknowledges that God designed us to bear one another’s burdens. Others can’t help us unless we’re willing to be vulnerable and disclose our needs to them. Read Vaneetha and see how God heals her deepest hurts, the ones inside her. Visit Vaneetha’s blog: DanceintheRain.com. Subscribe to her blog and receive a free ebook: 10 Practical & Surprising Ways to Help a Suffering Friend.